I hope everyone had a great Labor Day weekend! Mine was pretty chill because the Alabama game was actually in Dallas, so barely anyone was on campus. My parents did come on Saturday to give me my fixed phone, and we got lunch which was fun. I think Emma is coming in two weeks, so I am definitely looking forward to that. This weekend, however, made me realize how easy it is for me to get unorganized if I don't keep with my routines. I spent all of yesterday (minus having lunch with Holley) getting my life back together because I definitely spent all of Sunday watching movies with my friends. 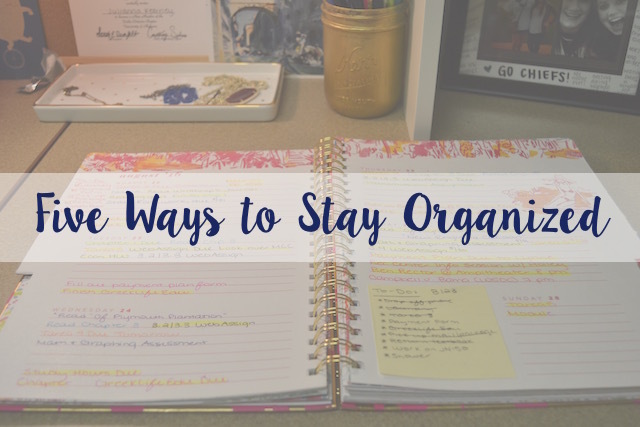 Today I am sharing with y'all the five things I do every day to keep myself organized. 1. Make your bed every day. This is not something I did in high school. I only ever made my bed if I was hanging out with friends. Now that I am living in a room about half the size of my room at home, I need to make my bed because it makes my room look so much cleaner if my bed is made. The feeling of coming home to a made bed is probably one of the best feelings, and I finally understand why people actually make their bed every day. 2. Utilize a calendar. I love using my Google Calendar and my Lilly agenda. I swear by calendars, y'all. I would be totally lost without both my calendars. I already have a post about how I use Google Calendar, and later this week I will do an updated Lilly Pulitzer agenda post. If you are not using a calendar in any form, you need to be because it will change your life. 3. Set aside a day for cleaning. My roommates and I all decided that Sunday was going to be our day for cleaning. Even though I make my bed every day, I use Sunday to clean my bathroom, the rest of my room, and our living area. This week I start out the week with a clean living space and a fresh mind. However, I don't do laundry on Sundays because that's when everyone does their laundry. I usually do my laundry on an off day like Thursday, Friday, or Saturday. 5. Sit down on Sunday nights and plan out your week. Another Sunday to-do. I find that Sundays are always my days to get my life on track for the week ahead. Spend 15-30 minutes looking at your planner and plan out what you have to do. 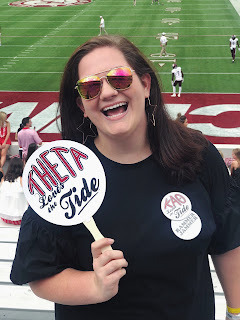 For my sorority, there are some weeks where I have a lot more to do than others, and that obviously affects my homework and social life schedule. Like I already know Homecoming week is going to be crazy busy, so I know I need to sit down and have a solid plan for that week to make sure I complete all my Theta responsibilities and my school responsibilities.